The Phantom Aquatics Impulse 1500 LED Dive Light, Is a portable magnetic controlled flashlight for professional diving use. It is equipped with a totally sealed magnetic controlled side switch that provides flexible operation underwater. Using the latest USA CREE XM-L2(U2) LED, max 1500 lumens output and over 18 hours runtime, this portable diving light offers three brightness levels and one strobe mode for diff- erect diving environment use. Plus simple style appearance, robust water pressure resistant construction, we believe it will be your best lighting tool for diving. Full Disclosure: This item was received for review purposes as a part of the Amazon Vine program. My review is honest and accurate. I am a big fan of LED torches and have multiple units that utilize Cree led's with 186550 batteries. 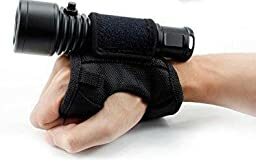 When this product was offered to me I selected it almost immediately since I have been looking for a torch that was water proof and high powered. Let me start with my disappointments first - when you purchase a product at this price point you expect that it will come with some simplistic documentation on how to use it. No documentation was included and for that I take away 1/2 a star. The second half star is deducted for price and for the marginal quality of the included charger. I am absolutely over the moon regarding this underwater torch (aka flashlight) I am new to Cree LED lights and boy oh boy, I didn't know what I was missing! DO be careful when screwing the head back on, make sure the O ring is in place and put the head on e-v-e-n-l-y and carefully screw on. I had to back up and restart a few times. I am happy to have this light and will get good use out of it as a boat light. After using it for a couple of weeks, I no longer recommend this flashlight for diving. The Impulse 1500 is a solidly built metal flashlight that is very bright but the switch is problematic. The flashlight includes rechargeable batteries and charger. The flashlight and all the accessories come in a reusable plastic case with foam spacers. The foam spacers are well designed and work well without needing to perfectly adjust all parts provided the belt strap is stored elsewhere. The flashlight has a single pushbutton style switch that is pressed to turn on the flashlight. There are three brightness settings and each subsequent button press once on reduces the brightness level until the flashlight is off. There is no mechanism to lock the switch in any specific setting/position.